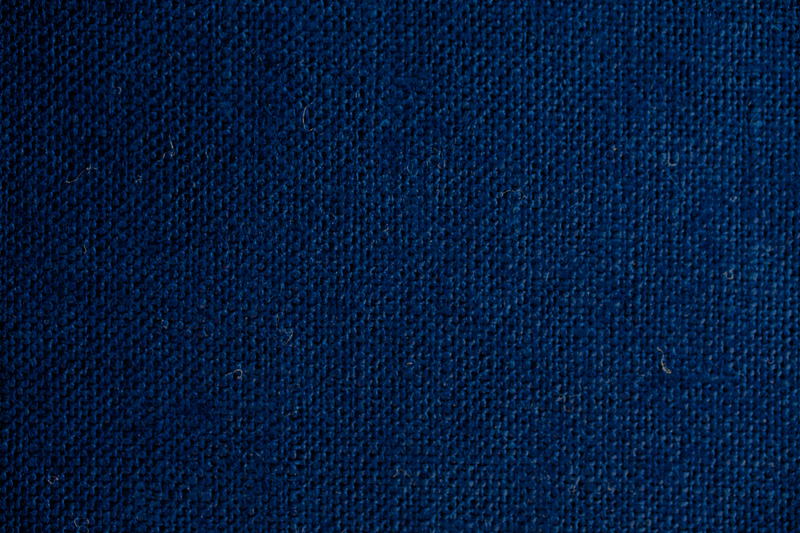 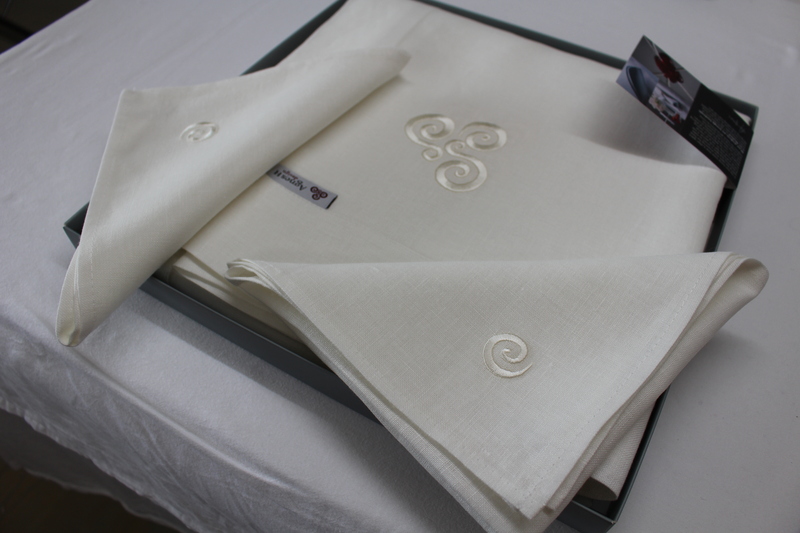 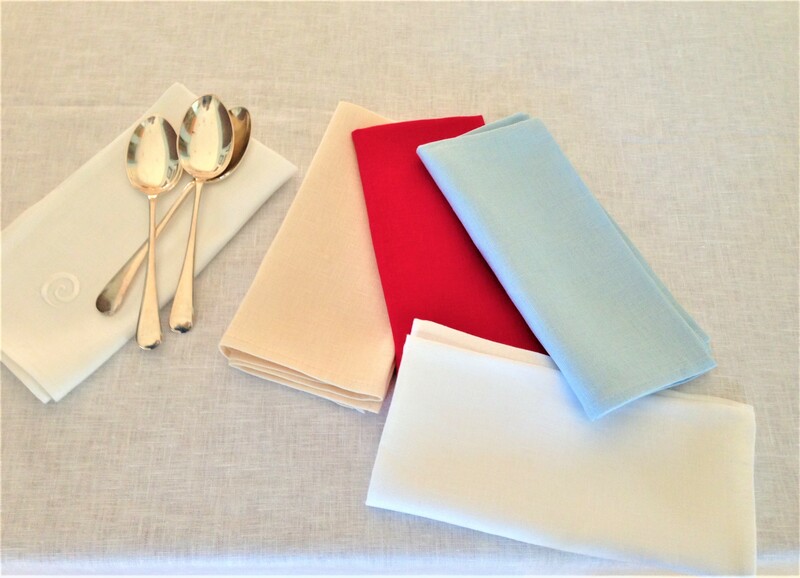 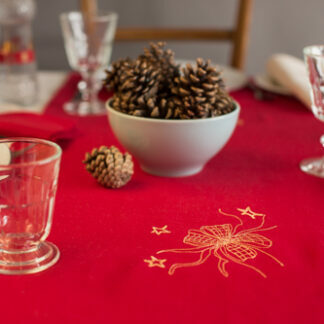 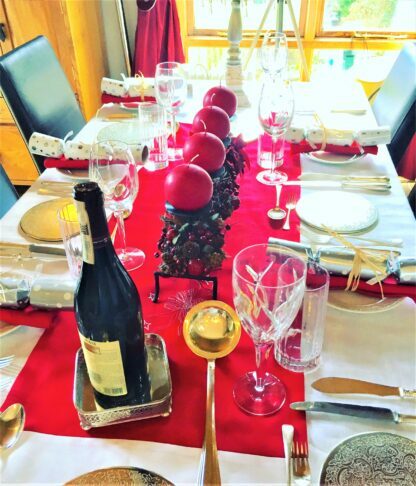 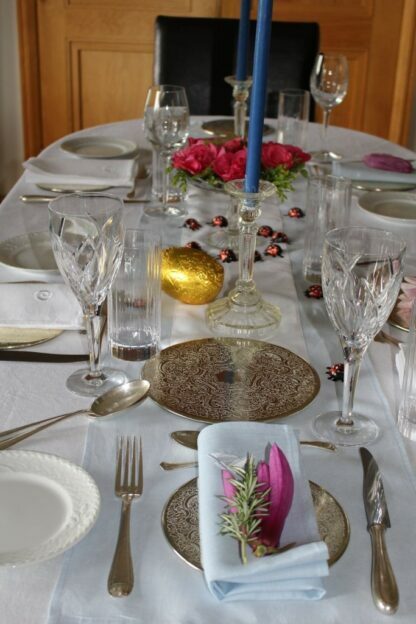 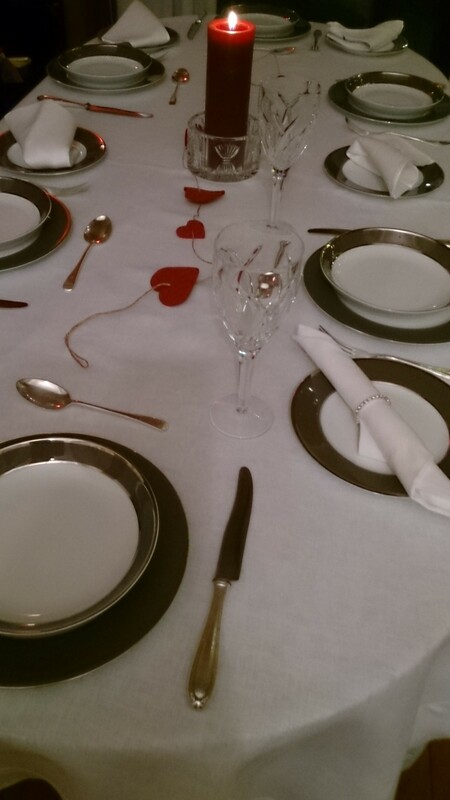 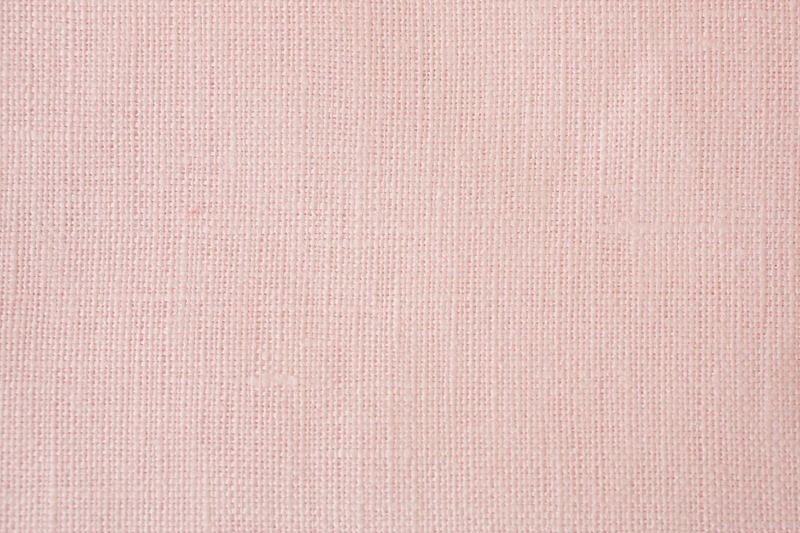 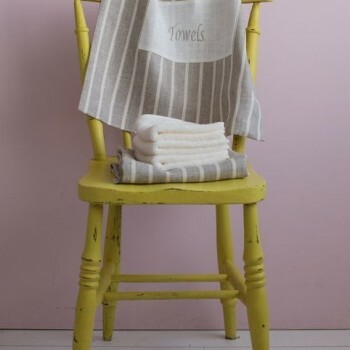 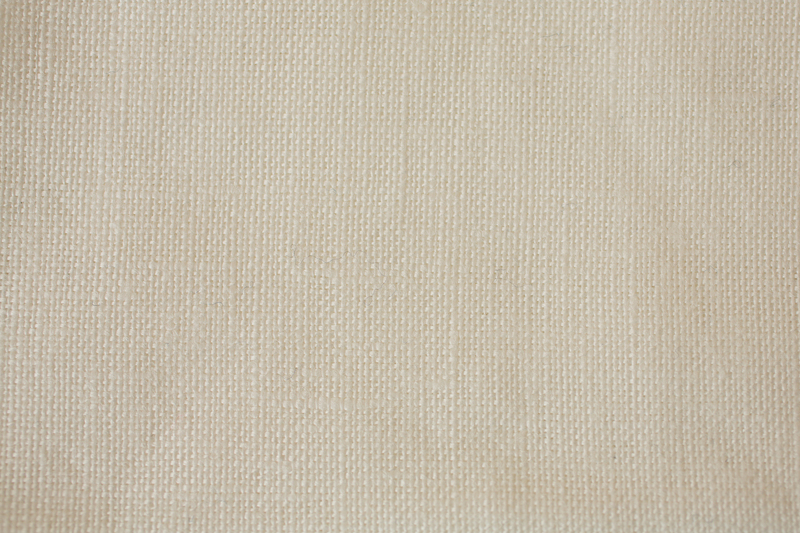 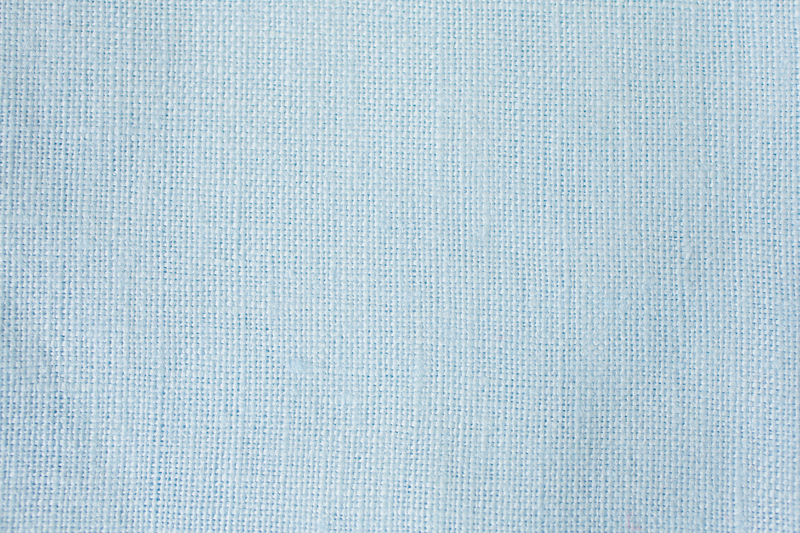 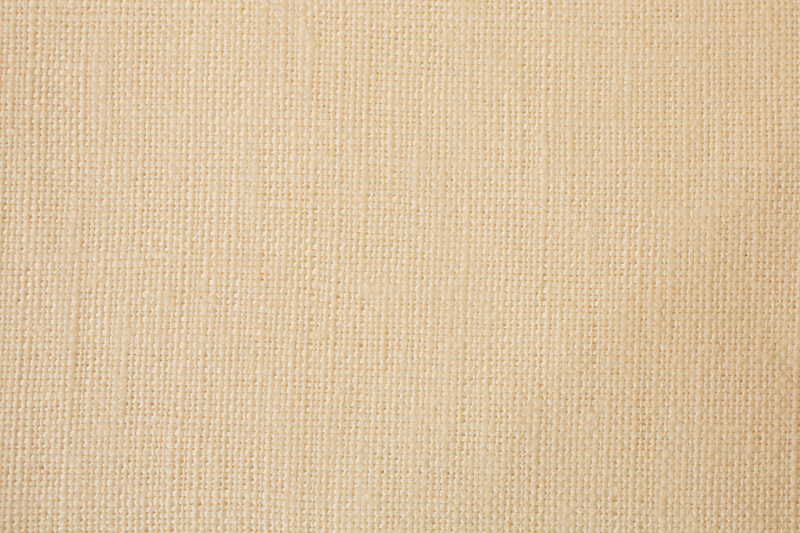 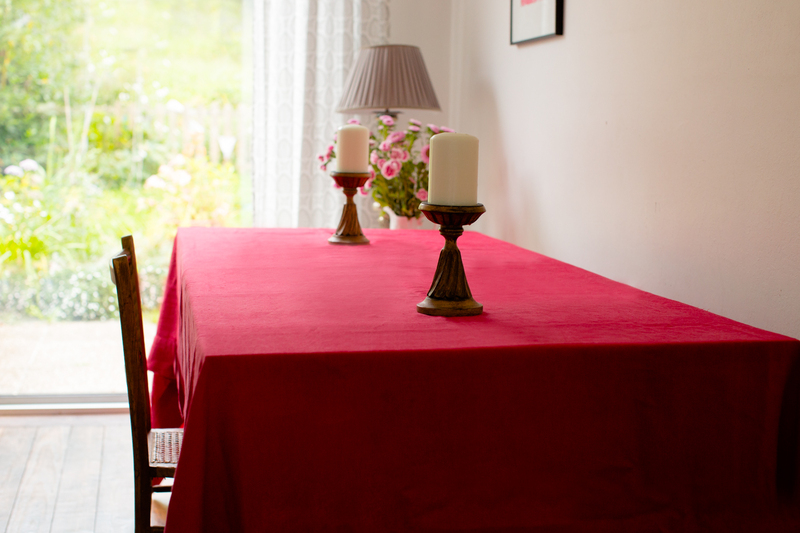 If you really want to impress, well then dress your table in this beautiful 100% Irish linen. 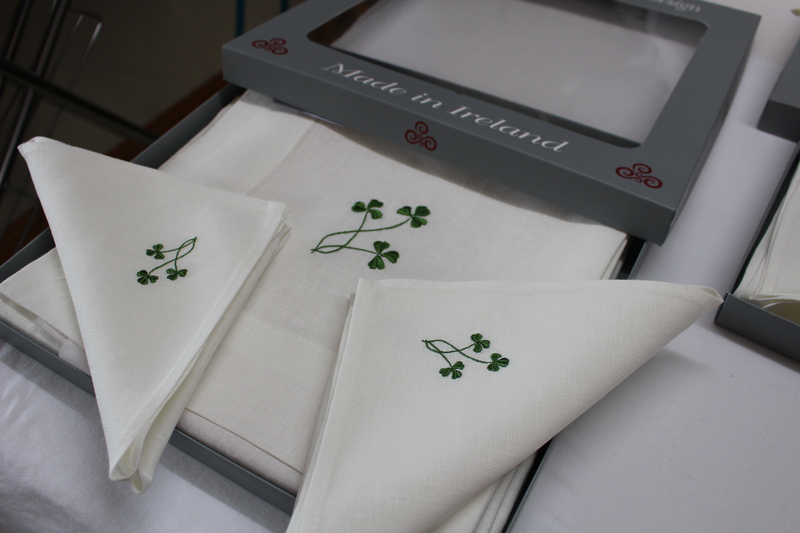 Designed and handcrafted here in Ireland. 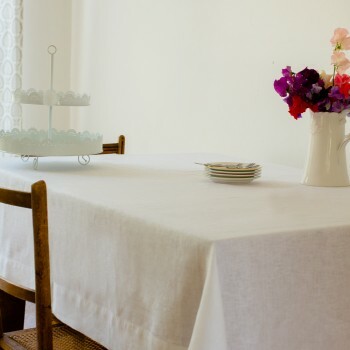 This very elegant table cloth is designed to suit both the modern or the traditional setting. 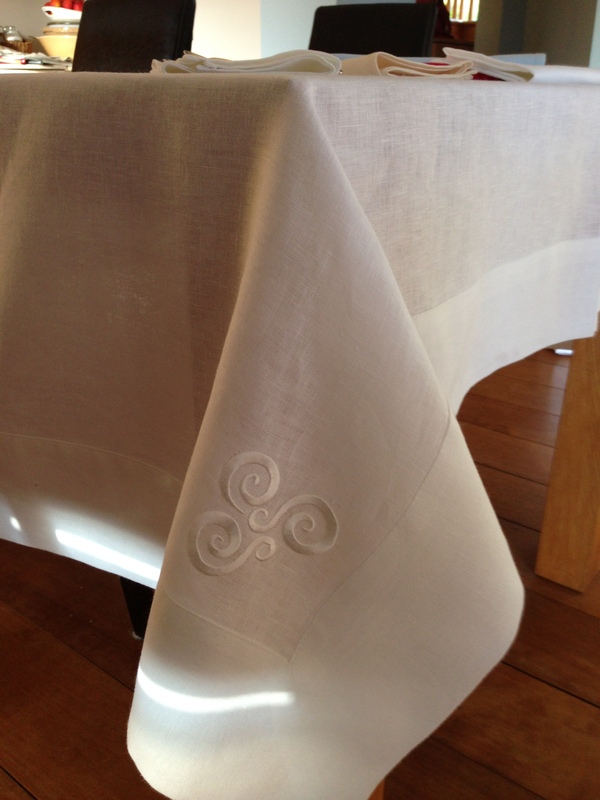 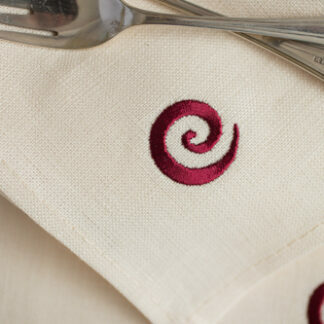 Embroidered with the ” Newgrange” motif in white threads on white linen on each mitered corner. 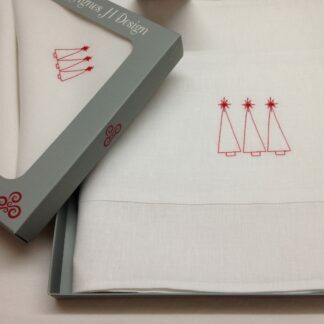 Made with single insert. 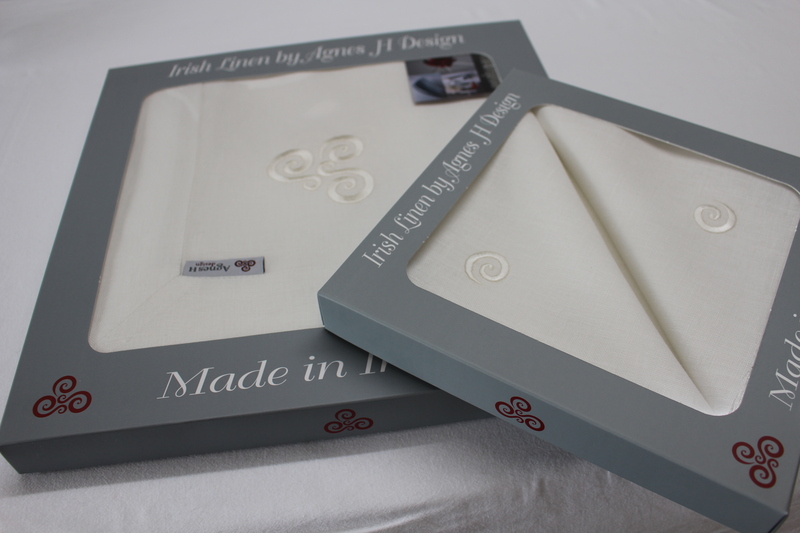 All our Irish linen table cloths are now presented in beautiful boxes. 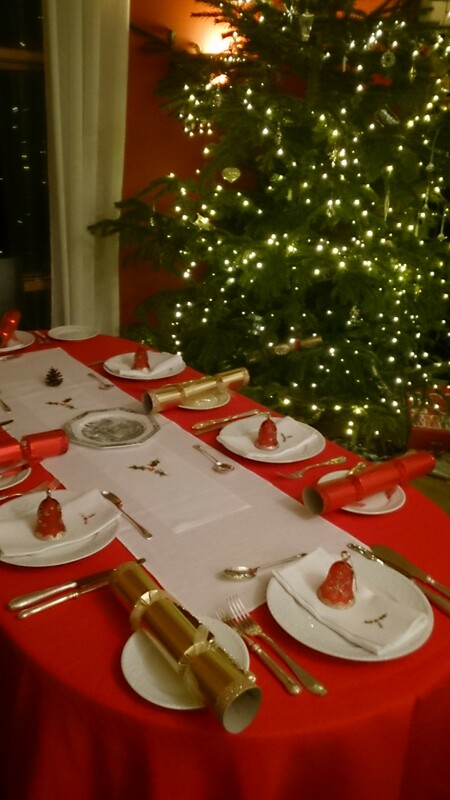 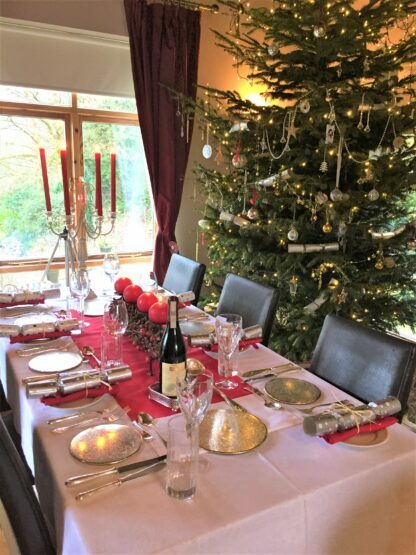 We can also offer bespoke linen table cloths to suit your table. 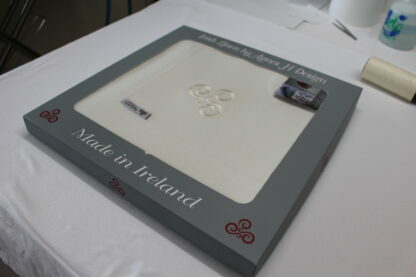 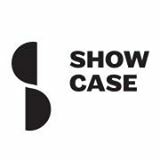 Just contact us at agneshdesign@gmail.com for a quotation or call me on 087 2358699. Just measure your table top and we will do the rest. 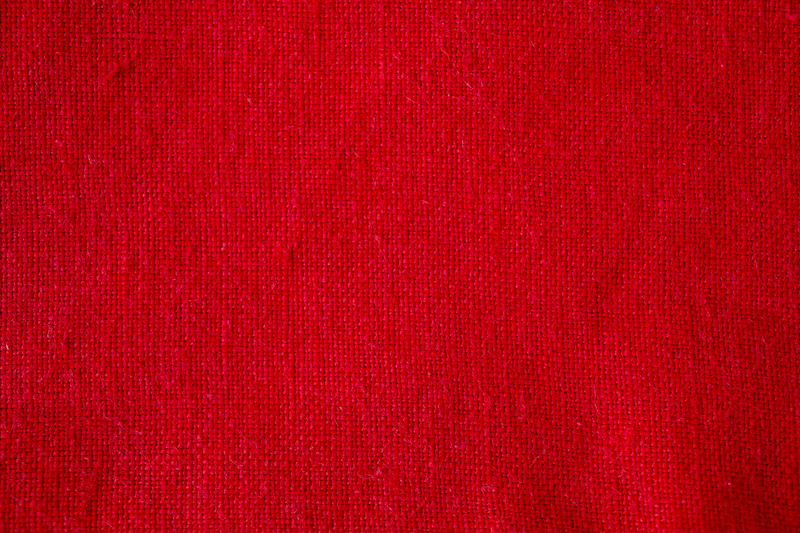 Thank you so much it is beautiful I look forward to many years of usage. 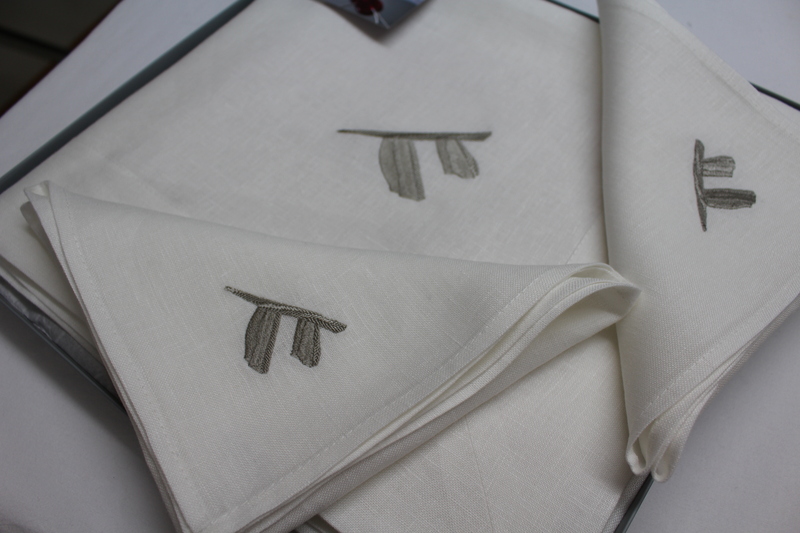 Further to my recent email the birthday present was a great success! 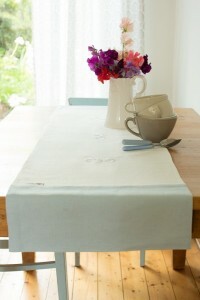 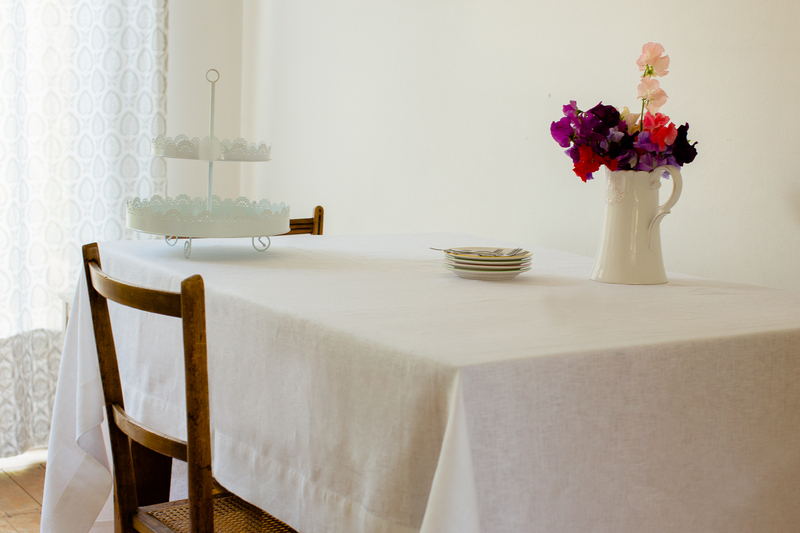 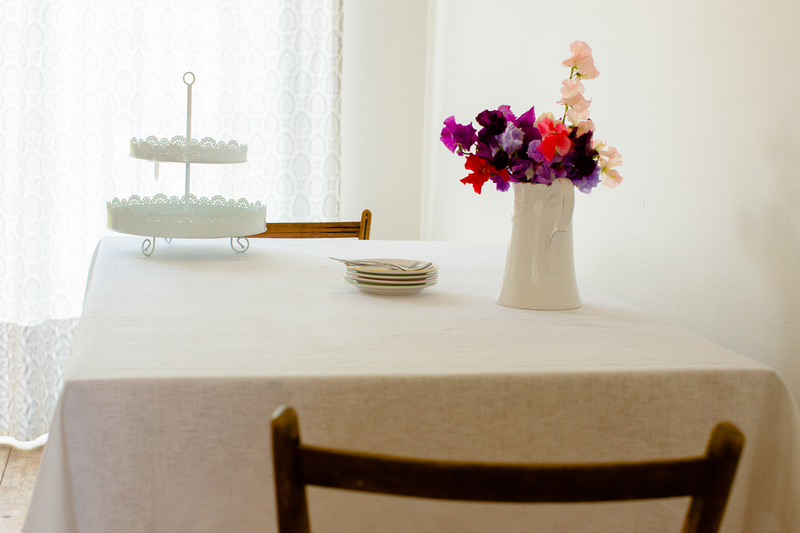 The table cloth fits like a glove and the contrasting napkins in ecru work particularly well.